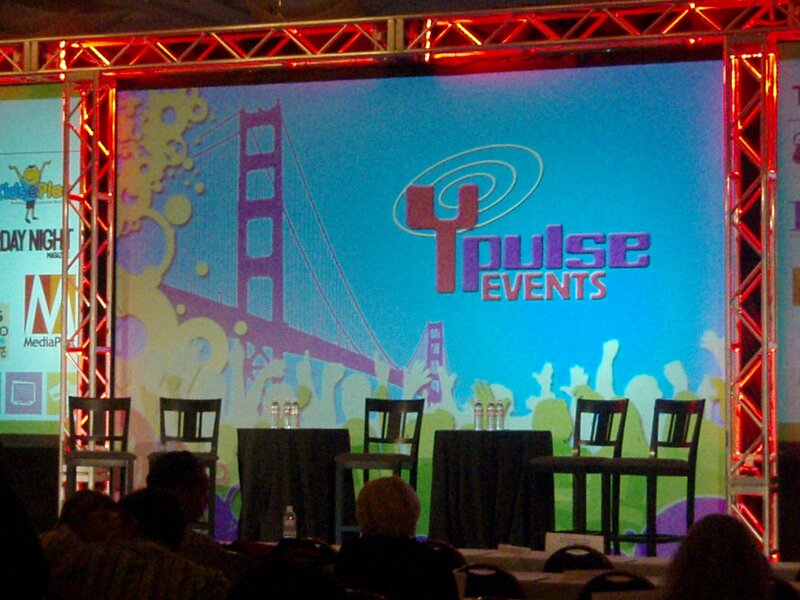 On Monday, June 1st, another fantastic 2009 Ypulse Youth Marketing Mashup will kick off in San Francisco. If you aren’t already reading the daily Ypulse newsletter, you should be. But more importantly, if you haven’t figured out the value of attending the Mashup, let me give you a few good business reasons why you should. 1.What today’s youth are doing now, will affect your business’ future. From social networks to adapting technology, young people today aren’t afraid to try new things and then talk about it. At our company, it’s our motto – listen to youth to discover the future of your business. Here’s one example: nearly every business is considering how to use social media to help promote their business. Twitter? Facebook? How about text messaging? By following what kids are doing, you can identify best practices to help guide your efforts. 2. Today’s youth are your future employees. If you haven’t hired millennials, and I bet you have, you may not understand their different approach to the workplace. From flex time to creative problem-solving, our youthful new team members are having a tremendous impact on the work force. While many seasoned professionals want to dismiss them for their “poor work habits”, there’s more to the story. Sure they need training – but didn’t we all? The tradeoff is exuberance, fresh ideas and a consumer approach that could breathe new life into whatever you are doing. 3. Get actionable advice from the presenters. I have attended every Mashup – each one better than the year before – and I expect no less this year. Hearing a case study from Disney about how they leverage all their properties to launch a new music act or listening to Fuse talk about CEO predictions for mobile technology – the information runs the gamut. But even if you aren’t marketing Miley Cyrus, the underlying principles the speakers share are bound to inspire and fuel your own business planning. I always leave fired up and ready to try way-too-many new things when I get home. 4. You will create some amazing business relationships. Okay. I just went and counted. I have eight contacts on Facebook from last year’s Mashup and five from the year before. These aren’t the “professional acquaintance” type friends but rather people I have talked with for the last year about their businesses, their new ideas, supported their launches, and helped them with trials. Ypulse attracts people from all industries with many interests and passions. Typically they are accessible, invested and willing to forge new relationships. It never fails that I end up brainstorming with someone about how we could work together or a way to extend our ideas. 5. It’s one hell of a club. Yep. Ypulse is a bit of a club. Not exclusive, rather very inclusive. The Ypulse team wants you to succeed and my experience – throughout the year – is that they are there to make introductions, open doors, share information, salute your good ideas and much more. I believe the brand is the extension of its founder, Anastasia Goodstein, who is a total content diva (amazing actually). She’s having a good time and she’s committed to making sure you have a good time too. Once you attend a Mashup, you will want to come back – to see friends, to learn more, to share what you have done, to refuel and get inspired. So I hope to see you there next week. If you come, send me (@jcarole) a Tweet! or a text (831.239.6496) – you do know how to text don’t you?! I can’t wait to meet you and add you to my collection of Mashup Facebook friends! Pass the Ball – Social Media Project is On! Day One at Ypulse Youth Marketing Mashup a Success!